2013 Fulbright grant recipient Emily “Libby” Egan. Photograph by Phyllis Graber Jensen/Bates College. 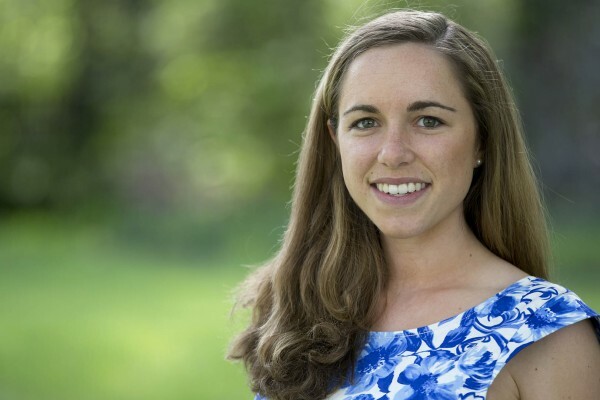 A sociology major and education minor, Emily “Libby” Egan ’13 of Harvard, Mass., received a Fulbright English Teaching Assistantship for work in Bulgaria. Egan’s experience includes teaching secondary students in Kenya, as well as peer assistance in writing and public speaking at Bates. She has student-taught in Lewiston public schools and conducted afterschool programs with local youth, including a book club that she founded for Somali refugees.